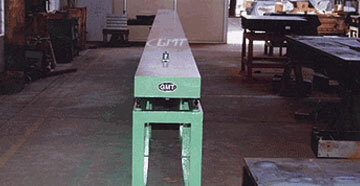 Firstly, GMT is one of the oldest manufacturers of bed plates in India. Secondly, GMT Bed Plates are available with a wide range of T-slot combinations and base plate shapes and sizes. 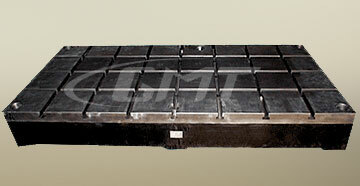 Thirdly, GMT bed plates are manufactured from high-density special cast iron. 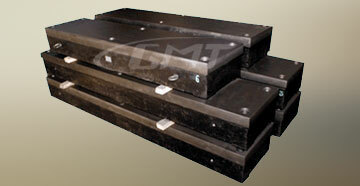 GMT bed plates are stress free and thus guarantees optimal rigidity and stability of the plate. T-shape reinforces the ribbing which lends the plates a high inherent rigidity and the plates can adapt to load requirements via the number of ribs in use. T-slots in special or intermediate sizes can be provided. The distance between T-slots in standard plates is usually 150, 200, 250 or 300 mm. The distances between clamping options and the T-slots can be according to custom specification to suit customer requirements. Metrology Cast Iron T-Slotted Floor Plates find application in engineering and manufacturing industries as precision bases for layout, marking, inspection and assembly work. They also find application for large fixtures, special tooling and production set ups. It also allows for an easy set-up and mounting for precision welding. GMT Metrology Inspection Floor Plate is accurate, economical and most reliable floor surface plate available. The design of the Metrology Plate fits the need for quality control in various industries. 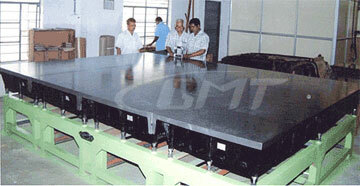 We have experience from setting up large sized floor plates for Test Bed applications. The highlight of GMT Metrology Inspection Plate is that it will not vary with temperature changes, distort under its own weight or even need adjusting to maintain level. 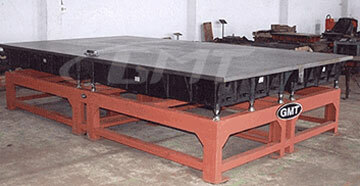 These can also be used as test beds for mounting engines, transmission equipment or large machines.